The US government has approved the sale of weapons, ammunition, and other military systems to Taiwan for the first time since 2011. China is protesting the move, calling it interference in its internal matters and harmful to relations with Washington. Taiwan will get armored transports, a variety of anti-tank missiles, ship-mounted point defense guns, and other military equipment as part of the package, as well as two refurbished Oliver Hazard Perry-class missile frigates. The total value of the weapons package, the first in over four years, is estimated at $1.83 billion. The State Department formally informed Congress of the sale on Wednesday, a year after lawmakers voted to approve it. 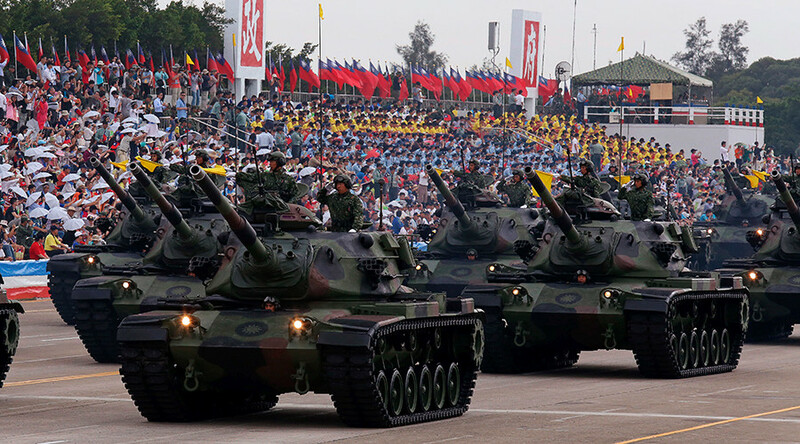 Though the US does not recognize Taiwan as a separate country, a 1979 law governing relations with the island obligates Washington to provide the regime in Taipei with “sufficient self-defense capabilities” and come to its protection in case of a Chinese attack. WH confirms $1.83-billion arms package for Taiwan. @PressSec says it's consistent with the Taiwan Relations Act and the US one China policy. A spokesman for the Chinese Foreign Ministry condemned the transaction as interference in China’s internal affairs on Tuesday, calling it harmful to relations between Beijing and Washington. “We resolutely oppose sales of weaponry or military technology to Taiwan by any country in any form or using any excuse,” Ma Xiaoguang, spokesman for the Chinese government’s Taiwan Affairs Office, told reporters at a briefing on Wednesday, according to AP. “Meanwhile, we also hope that the Taiwanese side will treasure the excellent hard-won results of the peaceful development of relations between the sides and do more to benefit the improvement and development of ties between the two sides,” Ma said. Taiwan is an island off the southern coast of China. Since 1949, it has been ruled by the Chinese nationalists who fled the mainland after losing a civil war to Communist forces. As the Republic of China, it claimed to represent the legitimate government of the mainland until 1971, when the UN recognized the government of People’s Republic of China in Beijing as such. Only 21 UN members and the Vatican currently consider Taiwan to be an independent country. Though more modest in scope than the $5.9 billion deal of September 2011 that saw an upgrade of Taiwan’s F-16 fighters, or the $6 billion deal in 2010, the new weapons transfer comes at a time of heightened tensions between Washington and Beijing. The US disputes Chinese claims to a number of islands in the South China Sea, and has sent ships and spy planes to the area. 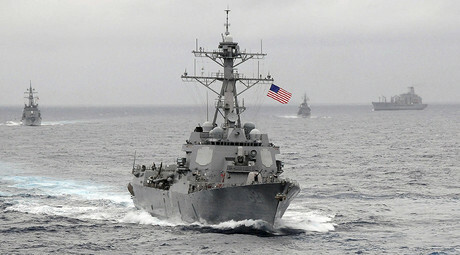 The current weapons package had “little offensive power,” the US Naval Institute said on Wednesday, noting it did not include any support for Taiwan’s submarine program or next-generation fighter development. According to the USNI, the package would include 13 Phalanx ship defense systems at a cost of $416 million, 36 AAV-7 amphibious armored transports for $375 million, $345 million worth of TOW and Javelin anti-tank missiles, as well as $217 million worth of man-portable Stinger anti-aircraft missiles. The two frigates, which were retired from the US Navy and refurbished to Taiwanese specs, would cost $190 million. Also included are data links systems for naval ships and minesweepers, as well as a cost-free lease of a communications network linking Taiwan to the US Pacific Command. The odd system out on the list is the AAV-7, an amphibious assault vehicle that is currently the mainstay transport of the US Marine Corps. Formerly known as LVTP-7, the “amtrack” has been in service since 1972 and will remain so for a number of years, since the plans to replace it with a new vehicle were canceled in 2012.